AS debates on amendment of the constitution of the Federal Republic of Nigeria especially the aspect of autonomy of local government gather momentum, Kaduna State House of Assembly (KSHA) may vote in favour of the bill when transmitted to it by the National Assembly. Speaker, KSHA, Abdullahi Aminu Shagali promised Nigerians that, the bill will get required attention from the members of the state assembly as they await the arrival of the bill in the state for considerations. He said these when he hosted a group called Friends of Democracy comprises of some ex-lawmakers, academia and civil society organization, Partnership to Engage, Reform and Learn (PERL) at members’ common room of the house on Friday. Hosting the advocacy team on behalf of his principal, the Deputy Speaker, John Audu Katuru noted that, even before the move to amend the constitution by NASS, KHSA was already working hard to strengthen the autonomy of its local government councils. According to him, the State Governor, Nasir El-Rufai had shortly upon his swearing into office in 2015 pressed for the autonomy of the local government in the state so the people at the grassroots can enjoy dividend of democracy the more. “I want to assure you that once we receive the bill in Kaduna, we will take our time to do our best. It is important to tell this team that, even before the constitutional review, we are already on top of it because the state governor has shown interest shortly after he came to power in 2015. “We believe that strengthening local government is strengthening democracy in the country because even former top political gladiators like ministers will be relocating to their towns and villages if that is done. “By the grace of God, we will not disappoint you. We are well prepared and informed and so, we are only expecting the bill to be transmitted to us and we will do justice to it. We will give the best Nigerians will appreciate”, the lawmaker explained. 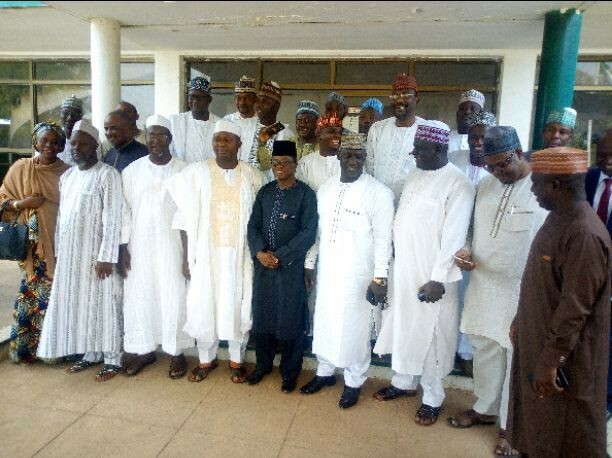 Earlier, leader of Friends of Democracy, Senator Bala Abdullahi Adamu (Taraba North 1999-2003) said, his team was in Kaduna to woo the state governor and members of KSHA to vote in favour of the amendment of the constitution especially, that of local government autonomy. “We are also engaging the governors of Kebbi, Sokoto, Katsina, Kano and Kaduna State in addition to legislators. This is important because we understand the influence the governors have on their assemblies. “This is a good course that will outlive everybody because while the state and assembly remain, the occupants will leave no matter how long they stay. Hence the need for this crop of lawmakers to see this as a golden opportunity that they have privilege to effect changes on our constitution. Their names will be in the history of Nigeria”, he advocated. Other areas to be touched include but not limited to strengthening of the judiciary, independent candidature, extension of rerun election from 7 to 30 days, removal of ‘force’ from Nigeria Police and incorporation of Nigeria Security and Civil Defense Corps (NSCDC).